A CELEBRATION of the humble British banger brought people in their thousands during the bank holiday weekend. 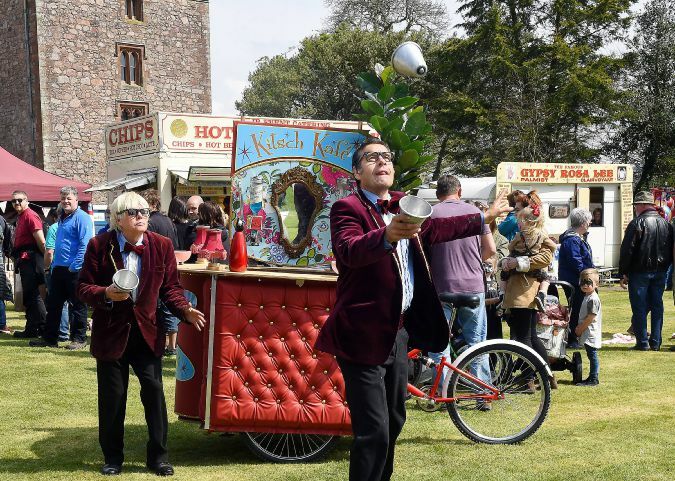 For three days Muncaster Castle, near Ravenglass, hosted the wildly popular Cumberland Sausage Festival. Now in its third year it continues to grow attracting more and more visitors eager to chomp their way through an astonishing amount of food. Last year bad weather reduced the grounds to a muddy field, “looking like the Somme battlefield,” says Mr Frost-Pennington. However this year the sun was out providing perfect conditions for the public. As well as the meaty delights on offer, there was a plethora of local food on sale, from craft ales made by local brewers, to cheeses, Prosecco, and fun activities like rock climbing and archery for the children. The emphasis on bringing local producers to the castle, and highlighting what the West of the county has to offer is what drives Mr Frost-Pennington. Events such as the sausage festival, which will draw an estimated 4,000 people to the hall over its duration, showcasing that the Lake District is about more than Windermere and the fells. Mr Frost-Pennington added one of the star attractions has not been the food, but the fields of bluebells in the grounds.